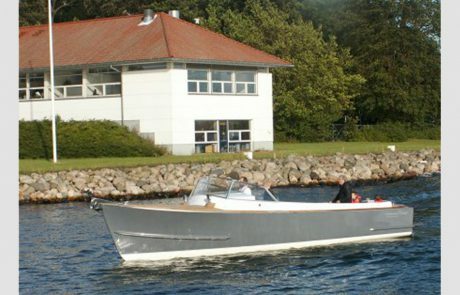 Svendborg Yacht Værft A / S offers construction of all types of boats and vessels for both pleasure and commercial use. BLUE WATER Very robust small sailboat built in aluminum for long-distance sailing for 1 or 2 people. 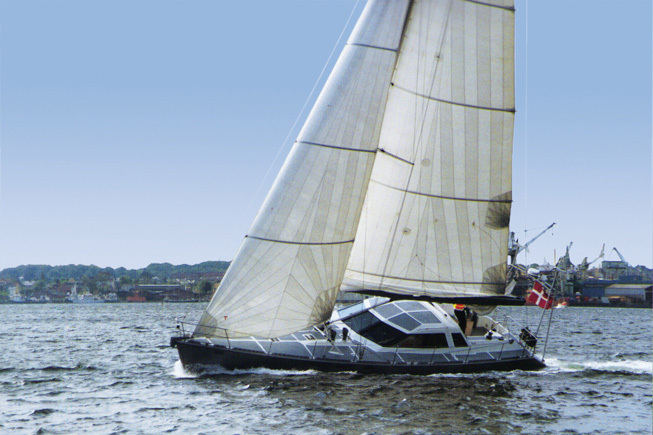 Design by Heyman Yachts, Sweden. 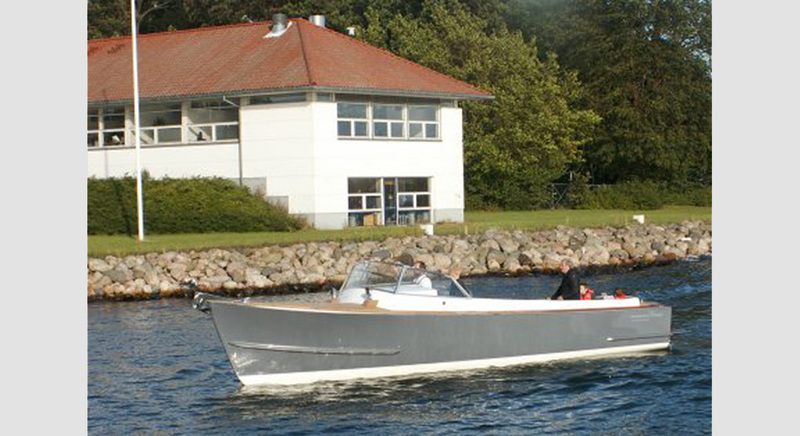 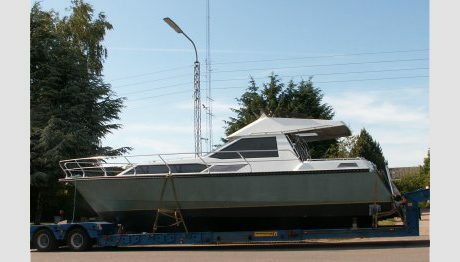 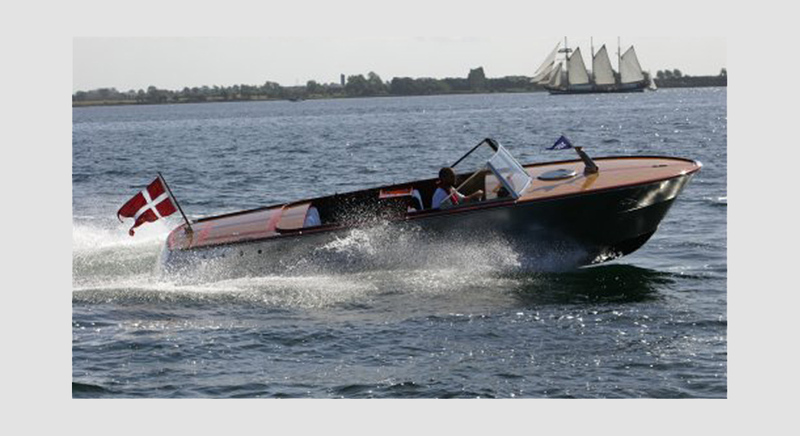 Svendborg Classic 9.10 m classic launch built in fiberglass. 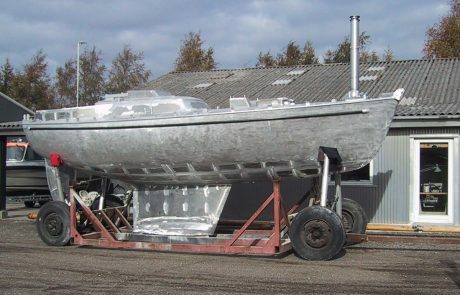 The hull is manufactured in the original mold from 1958 of the Danish Navy "9 meters", which originally was a harbour tug and surveying vessel in Greenland. 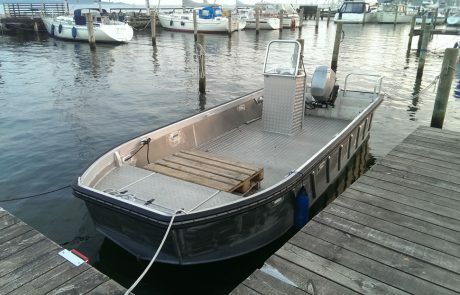 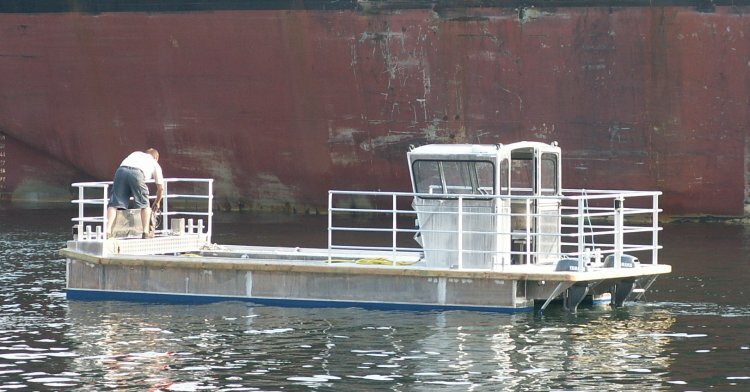 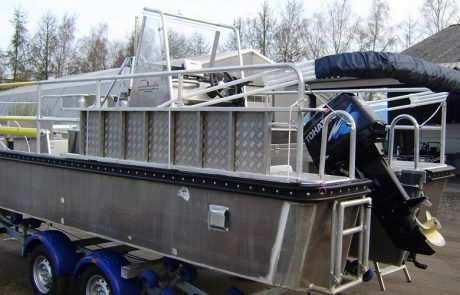 The boat can be supplied with layout to meet customer requirements and application. 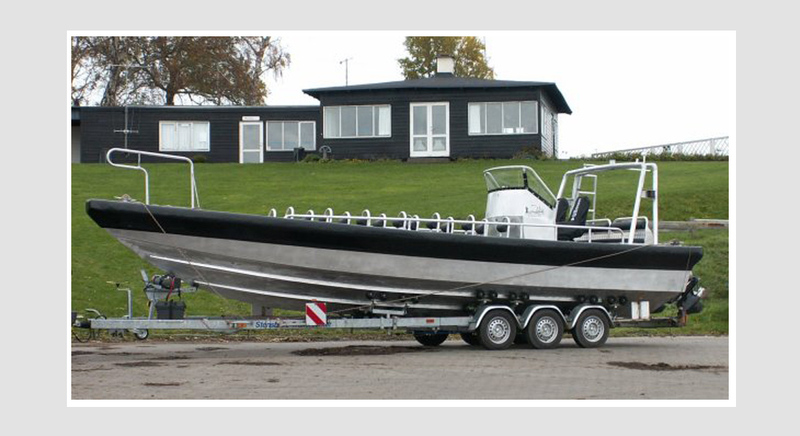 Concept High Performance Aluminium vessel with puncture resistant foam fender covered with elastumer polyurethane fender. 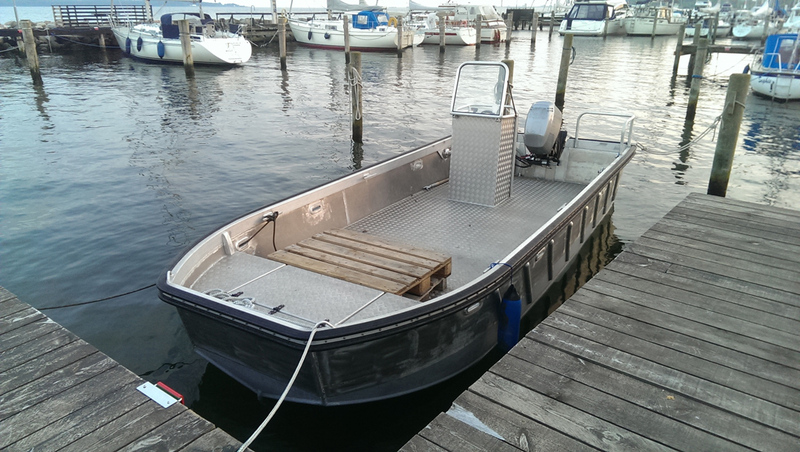 The boat can be motorized with inboard / sterndrive or outboard. 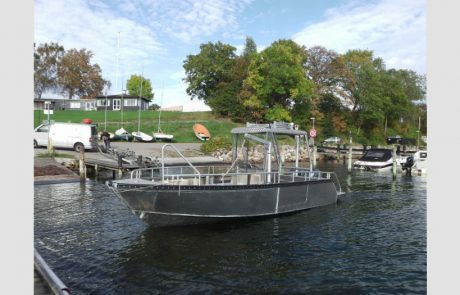 The boat was so far delivered as event a boat and as a research vessel to Greenland Nature Institute. 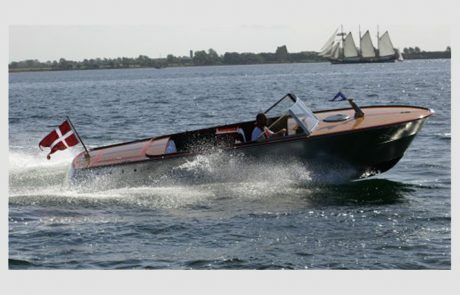 Concept Classic The boat is based on the hull of Concept 610-760, but outfitted with mahogany and teak. 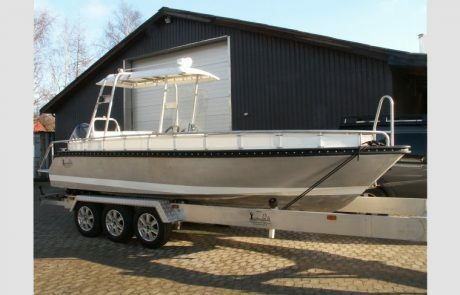 Stadtline 38 S Aluminium motorboat built according to drawings from Van de Stadt Design, Netherlands. 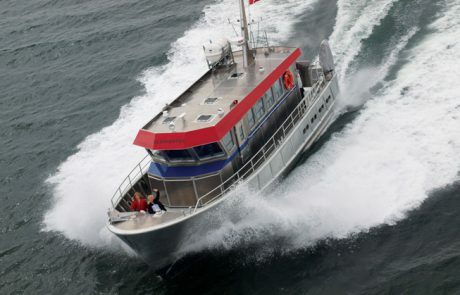 2x252 HK Steyer with Mercruiser Bravo II delivers a top speed of approximately 30 knots. 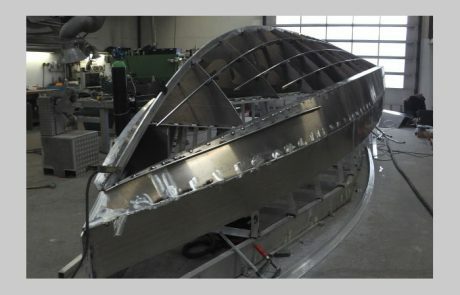 Catamaran boat in aluminium Special vessel built for the Ministry of Environment for taking samples of the seabed. 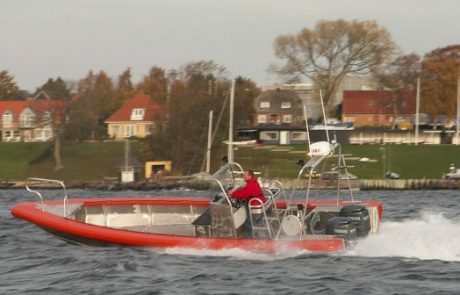 Concept Rescue 840 Lifeboat with puncture fender, built for Copenhagen Airports Fire and Rescue and Emergency Management Agency. 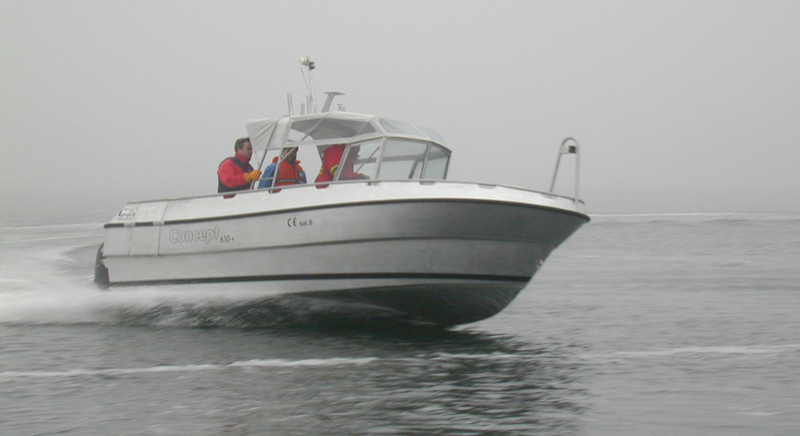 Concept 610 - 760 Concept boat made of aluminum with individual design and motorization. The boats are used for diving, fishing, passenger service, environmental studies, research and in the Navy, both in Germany, Denmark and Greenland. 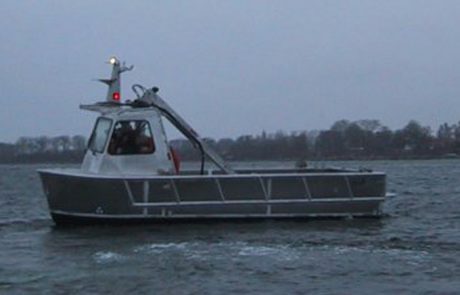 Concept Light Maxi 600 Aluminum boat built for the University of Aarhus. 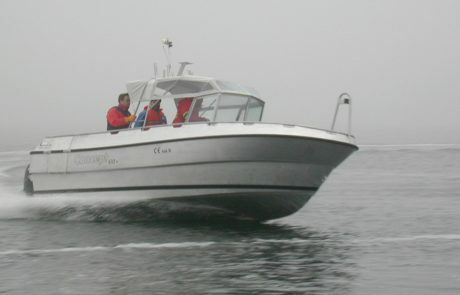 The boat used for research in marine mammals. 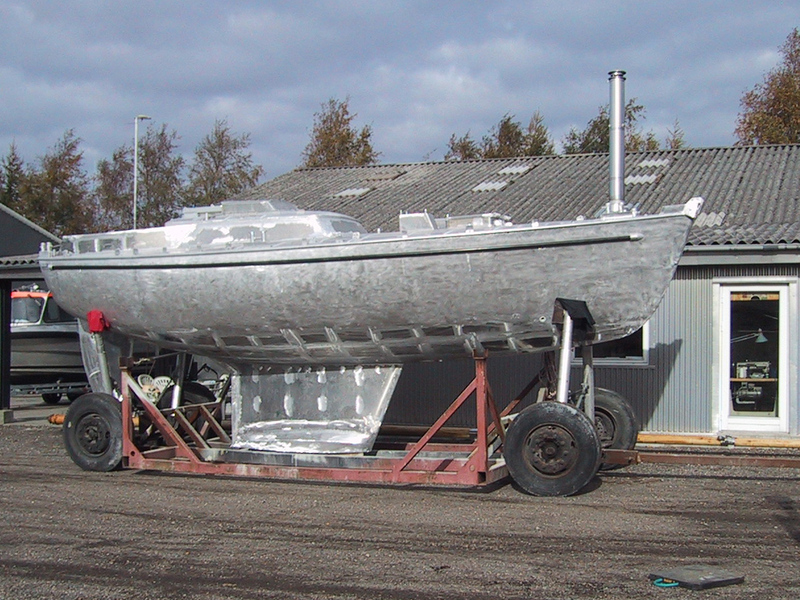 Concept Light Lightweight aluminum dinghy for both commercial and leisure use. 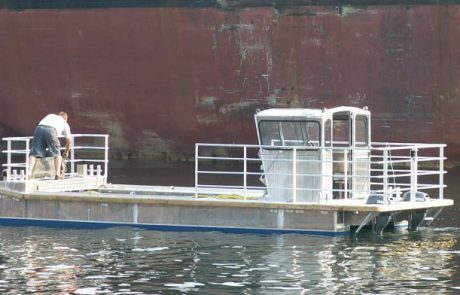 The boat is used by scuba divers, anglers, port authorities and as a rescue and oil pollution vessel of Emergency Management. 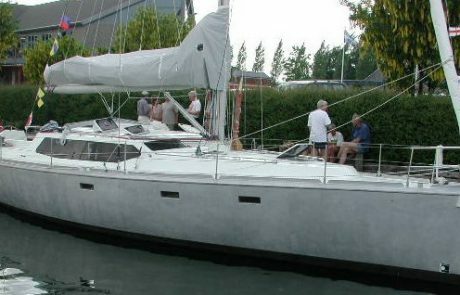 Super light, fast cruising sailboat with wing keel and water ballast. 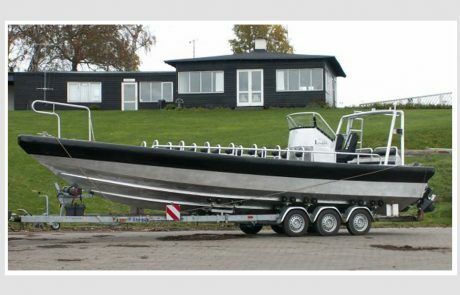 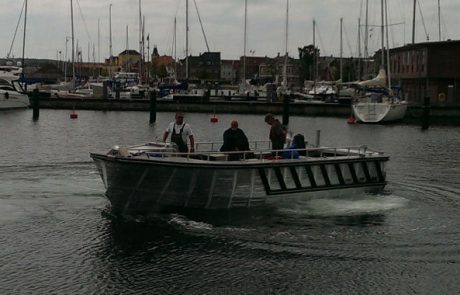 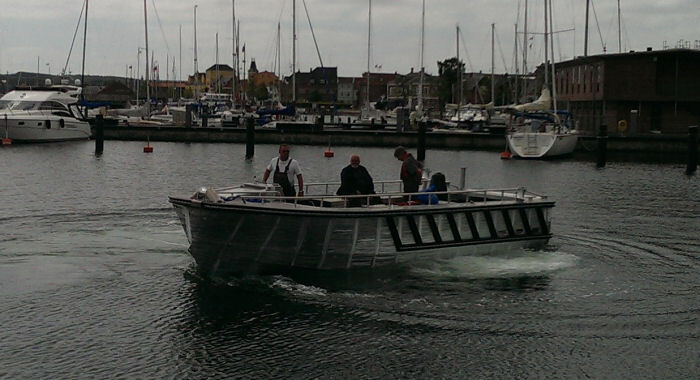 The boat is built for the Danish Defence and acts as service boat and ambulance on Christiansø.